An opportunity to support promising students as they pursue their dreams. Honor or memorialize a loved one. Do you want to support a particular field of study? The visual or performing arts? Perhaps a coach or sports participation taught you life lessons that have contributed to your personal growth? YOU decide what the rules of eligibility are for recipients of this Fund. 2. HONOR or MEMORIALIZE a loved one. Establish a scholarship to honor someone on a milestone birthday and invite family and friends to support it financially. The legacy of the honoree will support the next generation of students and contributors to the Fund receive a tax deduction. If you choose to have your Fund invested at CTCF, any gains achieved by the Fund are tax-free growth that you can use to provide more scholarship support to studetns. Each month you will receive a report showing the activity of your Fund, tracking both deposits and distributions. *Past returns are no guarantee of future performance. 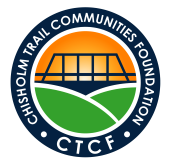 A Scholarship Fund at CTCF qualifies as a recipient of an employer charitable matching program. Check with your employer to determine if they have a charitable matching program and how much they match annually. If you have proceeds from a stock sale that you are planning to donate, be sure to consider gifting the stock directly to your Fund. Instead of selling the stock, paying taxes and then being left with a smaller amount to donate, verify how long you have owned the stock. You may not have to pay capital gains tax if you have owned the stock longer than one year or ordinary tax if less than one year when you gift the stock directly to your Fund. Who are the primary advisors for the Fund and who will be on the application review committee? What are the parameters of the Scholarship (ie. need based, maintaining a particular GPA, supporting a particular sport, education institution or field of study)? Do you want to invest your charitable dollars? Administrative costs for a Scholarship Fund.